BEACH LOCATION IS EVERTHING PLUS this Refurbished/remodeled in Vogue, in process, Adorable HISTORIC Charming, 3bed 2bath House with yard, and Extended covered patio and deck adding more living indoor outdoor space with outdoor furniture, table and bbq. Optional by Request Guest Granny Flat studio cottage next door books through www.vrbo.com/365092. can add as a ( 4th bedroom optional studio extra price must ask and pay for extra) Please ask when booking if you want to add cottage.We are walking distance to the beach 1500 feet, block 2 near La Jolla High school. 11 houses to shops, restaurants, spa, gym, yoga and massage. 5 houses to community olympic pool and 3 houses to Starkeys park and scenic trail. House two bathrooms, one brand new conversion of modern Travertine stone shower and floors, second bathroom has original antique "stay hot Longer for hours porcelain on metal" original claws foot tub in good condition. For those that wanted a shower we added an overhead shower head, but it is classified as a soaking tub. The house has hardwood floors and central heat, and wood stove fireplace, and lots of comortable lounging couches inside and out. Come relax, quiet for the beach! We stayed for 5 nights Sept 16-21st and we arrived early so I called Liza the Owner to see if we could check in. Liza was very attentive and arranged for Mike the Co-owner to meet us at 12:30pm and he allowed us to check in due to the house was cleaned and ready to go! Mike was a very nice person and gave us many ideas on what to do while we were in La Jolla. The house is just like the pictures very comfy, clean and with lots of character and close to the Windansea beach. We utilized the patio everyday when we weren't at the beach and settling down for the night. 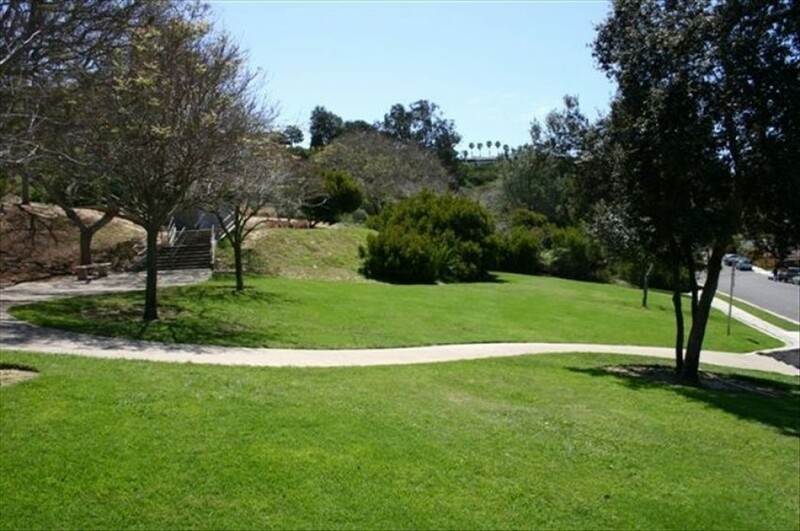 The house location is very close to lots of activities and attractions in the San Diego area. The owners were awesome and we will Delfinately look to stay in this renal property again in the future!! Thanks for having us!! Beautiful Home for Safety and Joy. We fled the fires in Oregon smoking us out and evacuation. I lived in La Jolla in the 90s and we knew this home as well as stayed in 2004 and now. The house has beach air and great weather, lots of bright white windows and french doors to a inviting patio with two couches and a great yard, we had no yard and most people dont so we love this about this awesome home. This listing was only a few blocks from where I lived and I love its style, flair and color as well as we knew the owners from the 90s when they hosted and owned Seasons Yoga Center and Liza treated my teeth being also in Dentistry. When we had to be evacated we called them to see if we could get in last minute. They informed me someone cancelled and they hosted us as a gift for evacuation from fires. We are every so grateful. The home is clean and well appointed with nice leather couches, great art and a remodeled kitchen with granite counters, a nice gas stove and a marble shower, they added since the last time we stayed. Liza and Mike totally took care of us. They got us in late at night after traveling easy on a key pad and were in easy reach by cell phone. Mike met up with us mid week and gave us some heads up on new restaurants. We love to cook and this is a well stocked and great kitchen for a beach place, everything you could need. Beds are bahama style and very comfortable and great cable tv and fast internet for my husbands work. We had to leave early for us since we squeezed in between two bookings and we booked Liza and Mikes other house in Carlsbad beach where we are now extending out time in one of their homes, as we need a bit more time before fire containment in Oregon. We cannot say enough about how they helped us get in quickly and great to us. They asked us to help with a good review. We were appauled at the previous post to get money from the owners, as there is nothing wrong with the property and no pests or problems and we arrived day after. I would highly recommend this home for its cute ness, awesome look, yard and beach and village access by foot. Thanks! Liza and Mike! Sea air with beach within reach. We enjoyed our family vacation at this comfortable home. There are plentiful sleeping arrangements and a lovely patio where we all ate together each night. The walk to the beach was a short one. The street and neighborhood were quiet. The owner was helpful and good about responding to our questions. We will return. This is our second time to stay in this home. It works out perfect for our family. We hope to scrape and save up the money to do it again soon.